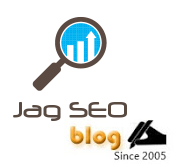 Why Are You Afraid Of Google Penguin Update? Would say, you don't have to be panic! SEO recovery is doable. As per the industry experience and Google's confirmation, penguin update goes on regular basis and the major updates are announced and named in versions. Started on April 24, 2012 (Google Penguin 1.0), May 26, 2012 (Penguin 1.1), October 5, 2012 (Penguin 1.2), May 22, 2013 (Penguin 2.0), Oct. 4, 2013 (Penguin 2.1), and October 17, 2014 (Penguin 3.0). Penguin 4.0 is expected in couple of months. 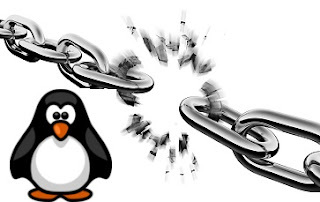 Don't wait for Penguin 4.0 to hit your website. First thing you need to know is about the information that to be collected before you start the work on Google's penguin lift and the proceedings in your website in order to stay back in the competitive search spot game! (7) Content writing and marketing. Login to your Search Console (Google webmaster tool) account and look for links to the site section under search traffic. Now you will see "who links the most, your most linked content & How your data is linked". From the list of "who links the most", you will be knowing the level of unnatural links, paid links and scrappy links if you have built it or if a third party did the same, you can use tools to check DA and PA for the websites and webpages. Search Google for bulk DA tool. There are few free tools that can help you to list 100 domains. Pick the low domain authority (DA) and Page Authority (PA) URL's and save it in a notepad. Look for low DA sites & PA pages. Find the level of your keywords you have used to build links for the websites. You need to check for money keywords and brand keywords. Money keywords unnatural links are the most dangerous one. You need to contact the webmaster and request for the site removal. Again if you find brand keywords in a poorly maintained website like less worthy information, too much of Ads & Popups, scrappy content then again you need to remove your website from those domains and pages. Most of the website webmasters won’t be responding and some would be charging for link removal. In the notepad file that to be disavowed, you can mention the details as said in one of my post "Disavow.txt Smart Code Report to Disavow Spammy Or Low-Quality Links". An important thing that need to be checked is "Manual actions" section under "Search traffic" section. If Google penguin has been hit hard to your website, you will notice a message from Google about the site wide or partial penalty and list of sample backlinks that is harming your web site. Work on those and similar sites. Take a complete list based on the sample sites referred by Google and remove those backlinks. As well mention those in disavow text file and use request a review button. If your domain is not been hit hard then you will see a message "No manual action found". This doesn't mean you are not hit by Google penguin, if you see a drop in traffic when the Google penguin algorithm is updated then you need to work on the process explained above. 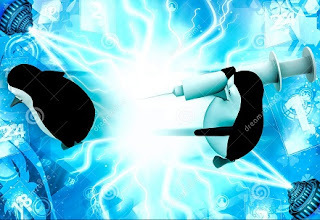 Once you are done with the link cleaning process and list of links to discount in the text file, you can upload the using Disavow Tool (https://www.google.com/webmasters/tools/disavow-links-main). In parallel you need to start with blogging, resource write-ups, inbound marketing and social media promotions by making use of top social media sites like Facebook, Twitter, Pinterest, Instagram, Google plus to name a few. All these signal will balance the discounted unnatural links and betterment your site traffic by regaining and improving SERPs.